So you’re one of those socially connected types who spend, let’s say, a fair amount of time online communicating with business associates, friends, and family. The problem is your companions are spread across different networks like Facebook, Twitter, and Google+, and with all that to keep track of, conversations can become confusing. Wouldn’t it be convenient to be able to video chat with friends and colleagues—plus a potentially wider group of people who share your interests—all in one place? 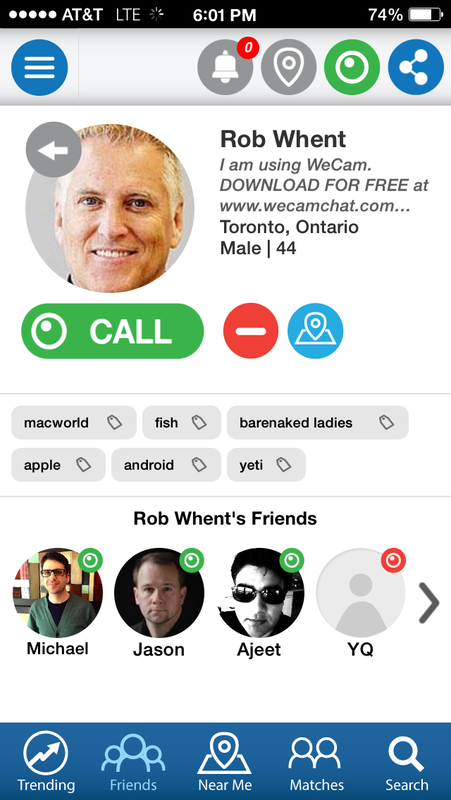 WeCam, a brand new app for iOS and Android, which debuted at Macworld/iWorld on Wednesday, combines a video chat function with the three most popular social networks. 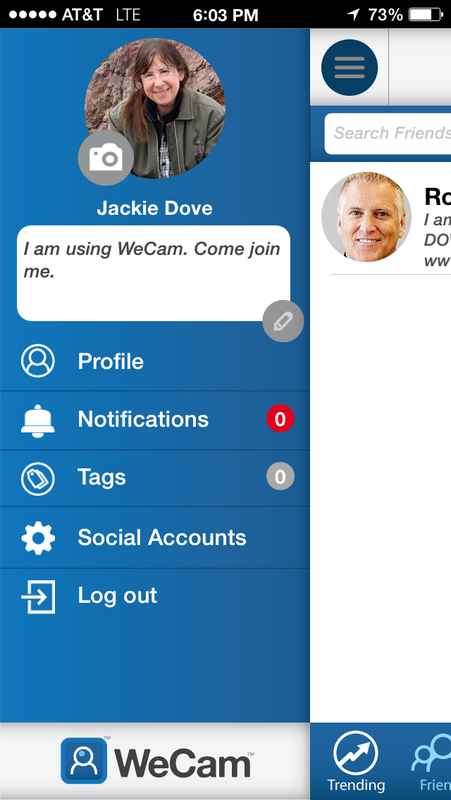 With WeCam installed on their smartphones, people can link to the app via their social networks and video chat. The difference between WeCam and other video chat services is the use of WebRTC (Real Time Communications) technology. The app uses the phone’s own hardware to shoot the video from both front and back cameras and combines it with the OpenTok real-time video communications platform for a seamless experience. 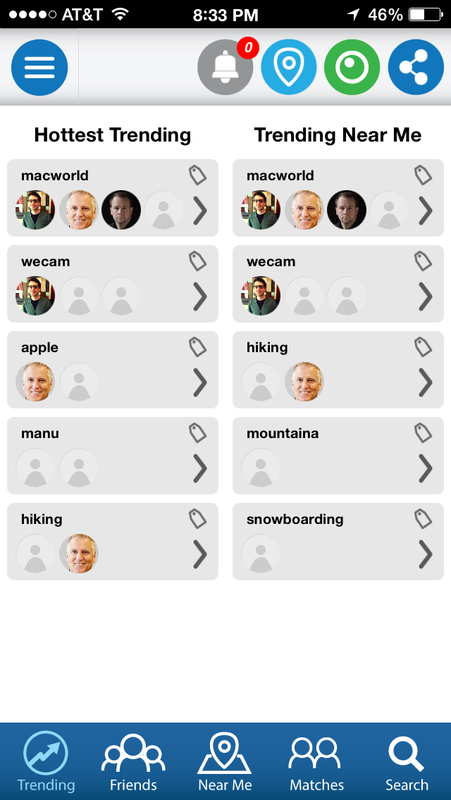 Use tags to identify new people to talk to. Chatting with friends is only part of WeCam’s mission. The app also functions as it own social network by letting you discover new friends and chat with new people based on their characteristics. Search features let you sort by age, gender, relationship status, location, and interests, so you can find someone to talk to who fits your profile. With the use of tags, people can set their own classifications for common interests and locations. For example, cat lovers can tag their ID accordingly, and other cat lovers can find them to chat, or maybe solve a problem. The app’s geolocation features let users see who’s online and nearby. The use of tags and geolocation awareness let you communicate in different ways. There is one downside to the app for users, although it could help the service gain wider visibility. Each person in your social network must be asked and consent to join WeCam and download the free app. WeCam works works with iOS 7 and Android 4.0 and above. An in-app purchase of 99 cents removes the ads. Future releases will include the ability to link to additional social networks and video chatting for up to four users on one screen, Whent said.